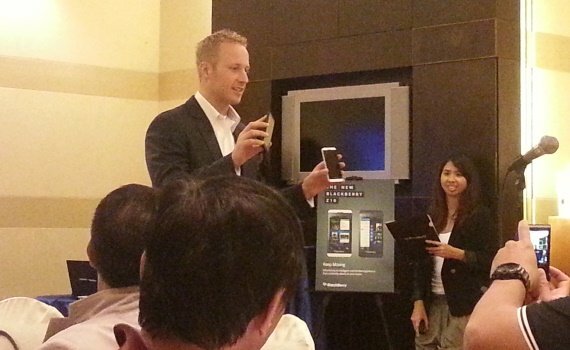 I recently attended the press conference for the official announcement of the BlackBerry Z10 in the Philippines. 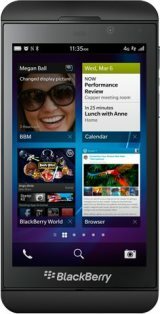 The BlackBerry Z10 is BlackBerry’s (formerly RIM) latest flasghip smartphone, featuring a new design, new powerful features and operating system. Basically it’s their do or die smartphone and probably BB’s last hope in the already congested smartphone industry. 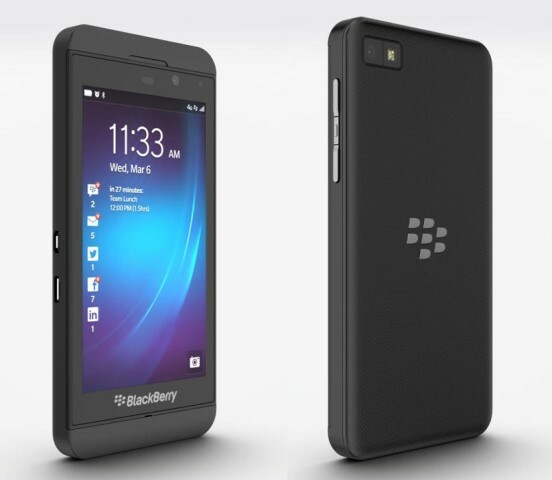 The BlackBerry Z10 features an all new smooth and responsive operating system. 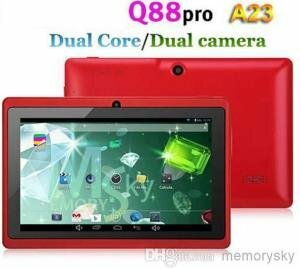 It has a gestured based interface and is designed to learn, support and adapt to the user. Below are some of its highlighted features as per their press release. BlackBerry Flow – Z10 experience excels by enabling features and apps to flow seamlessly together, helping you complete the task at hand effortlessly and efficiently. For example, you can tap on an attendee listed for a meeting to see their latest tweet or LinkedIn profile. Or tap the thumbnail of a picture you just took to launch the Picture editor and quickly apply a transformation or filter, then instantly share it with your contacts. BBM (BlackBerry Messenger) – allows you to share things with the people that matter to you in an instant. BBM in BlackBerry 10 includes voice calling and video chat, and introduces the ability to share your screen with another BlackBerry 10 contact. BlackBerry Hub – a single place to manage all your conversations whether personal or work email, BBM™ messages, social media updates or notifications, and the ability to “peek” into the BlackBerry Hub from anywhere, so you’re always only one swipe away from what matters to you. BlackBerry Balance Technology – elegantly separates and secures work applications and data from personal content on BlackBerry devices. Time Shift – an astonishing camera feature that lets you capture a group shot where everyone is smiling with their eyes wide open. Story Maker, which lets you bring a collection of photos and videos together, along with music and effects, to produce an HD movie that you can instantly share. BlackBerry Remember – combines memos, tasks and much more into a single experience. It helps you organize and manage information you have on your smartphone around projects or ideas, letting you collect content such as websites, emails, photos, documents, and other files, and then like a To-Do list, lets you create tasks, assign due dates, and track your progress. If your BlackBerry 10 smartphone is set up with a work account, your Microsoft® Outlook® Tasks will automatically be wirelessly synced with BlackBerry Remember. If you have configured an Evernote account with your smartphone, BlackBerry Remember will sync Evernote workbooks as well. BlackBerry Z10 browser – sets the industry benchmark for HTML5 support on smartphones, is incredibly fast. Scrolling or zooming is fluid and responsive. The browser includes many advanced features, supports multiple tabs, lets you browse sites privately, includes a reader mode, and integrates with the platform for easily sharing content. BlackBerry World storefront – includes 70,000 BlackBerry 10 apps and one of the most robust music and video catalogs in mobile today – with most movies coming to the store the same day they are released on DVD. In addition, Facebook, Twitter, LinkedIn and Foursquare apps for BlackBerry 10 are preinstalled, and BlackBerry 10 customers will have access to leading applications from across the globe. Leading application providers including Disney, Cisco, Foursquare, Skype and Rovio have committed to the platform. BlackBerry Safeguard technology – helps protect what is important to you, and the business you work for. If you are planning to get an unlocked international version of the BlackBerry Z10, you can read the next section below, otherwise if you are planning to get the Z10 via a plan continue reading. Meanwhile, Smart Telecom is offering the Z10 free at Smart Unli Data Plan 2000. Smart’s unli data plan comes with unlimited mobile internet, and call and text consumables. You may inquire at the nearest Smart office for other plan options. The BlackBerry Z10 has a local SRP of Php 29,990. Priced similarly compared to other high end smartphones. But you can get a cheaper price if you order it via online. See below. 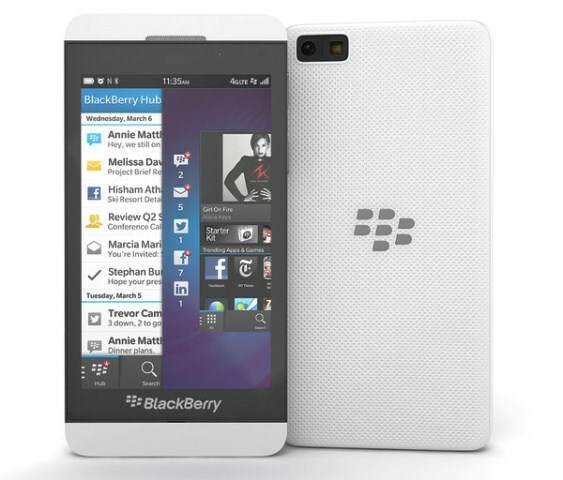 The BlackBerry Z10 is also available online. You can get a Black or White 16GB unlocked international version via the links below.